Gareth is a barrister practising in revenue law and has over 10 years of experience in tax matters. He has appeared for both taxpayers and the Commissioner and recently appeared in the Full Federal Court decision on taxation of trusts in Lewski v Commissioner of Taxation  FCAFC 145. Prior to joining the bar, Gareth was in-house counsel for the Macquarie Group based in New York responsible for managing transfer pricing and international tax matters across the Americas region. 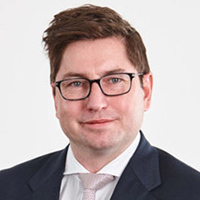 Gareth was previously a Senior Associate at Minter Ellison focussed on tax controversy and began his career in the international tax department of PwC. Gareth is the former Chair of the Corporate Section and Executive Committee member of the US Committee of Banking Institutions on Taxation. Gareth also regularly participates and speaks at TIA, OECD, IFA and other conferences. In 2016, Gareth was one of four tax lawyers under 40 globally invited to present on tax issues in the digital economy at the 70th Annual International Fiscal Association Congress in Madrid. Gareth also teaches in the Victorian Bar's Readers' Course on taxation matters.